Just a background, I'm a 22-year-old college student living on the East Coast. I lived out for a year on the West Coast with my mother before going to school. Currently in a pre-med program and I'll have my degree in a year or so and then I'll be looking into schools. Anyhow, so my mother messaged me a photo of the car and thought it was cool. I jokingly told her to 'go pick it up for me' and I'll give her the money. Well, she did... which I didn't really expect. So I now have a 1965 Chevy Corvair which is on the wrong side of the country. It's fine because I plan on visiting her during a school break and figuring out what is wrong. Prior to school, I was working in an automotive shop and I have an automotive background. The car doesn't run, has some rust on the panels but apparently, the interior isn't bad and there isn't rot. I'll be the judge of that though. We paid $1100... so worst case scenario, I'm sure it'll resell for $1100. It ran when parked in 2012, and I don't have much history after that. It is in a google photos album, the photos are too large to post on the forum. So I need some advice on where to find parts, for sure it'll need a tune up. 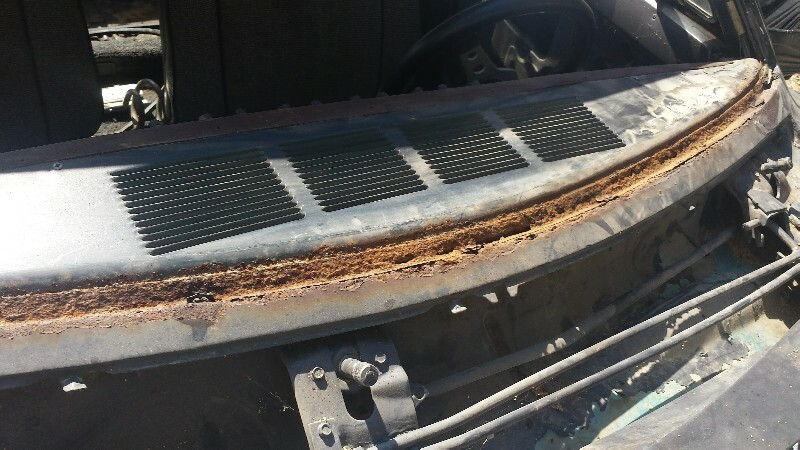 Likely need the fuel system cleaned an drained. It has an electric fuel pump that is jankily wired, hoping to go back to a mechanical. Also it has some rust. Replace/repair? The goal is to spend some time there during a break and clean up the car, and then drive it cross country. Edited 1 time(s). Last edit at 11/07/2018 10:53AM by MattNall. Awwwww...another 500 moredoor. (swoon). I love it!!!! 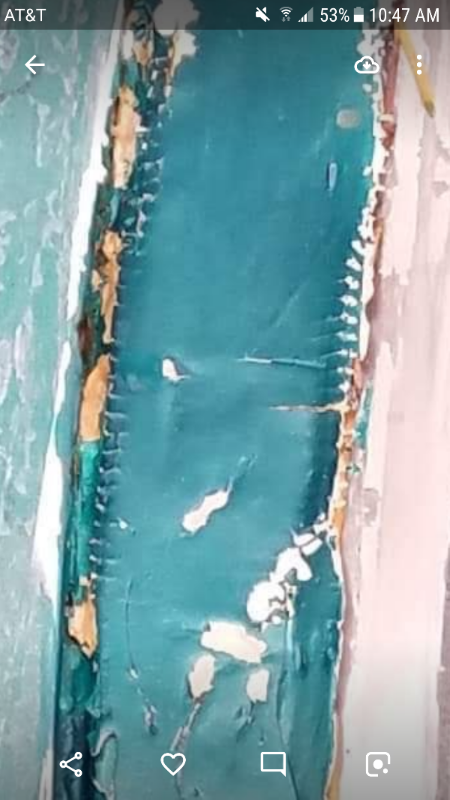 Looks like the PO did some crappy rust "repair", with fiberglass. Its gonna take some work, but...get it running, and get it stopping, then worry about the rest. Good luck. What part of the west coast you located? 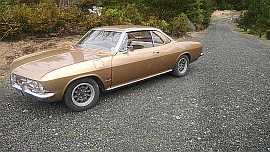 Clark's Corvair parts, California Corvairs, and various other outlets, for parts. Links in the forum section, up top. WELCOME!!! Get it running and drive the wheels off it. We will bet you a dollar with new battery and starting fluid. It will start and run enough for you to fall in love with it. Everything for Corvairs are available and very affordable. Also let me be the first to say it is called a Sport Sedan. ...ask me about the nightmare windshield lower section!!! 6 years setting.... shouldn't be a problem... sadly most likely parked when something simple went wrong.. You'll find out!! A 110HP PG car is a lot more of a driver than a 180 Turbo Corvair (see yesterdays topics). It will help that you know a bit about auto mechanics. Forget that this is a Corvair. It is just a basic simple car from the 60s. Chevys rule (especially 4 doors). You will Ejoy it and dont Give up With the First Problems. You will be Proud of it. Have fun with your first Corvair. It's not likely to be your last. Corvairs are like potato chips. One is never enough. This is a great forum for advice as you delve into the mechanical rehabilitation of your new ride. I'm actually on the East Coast in NJ. Mi madre vive en washington. If you will stick with it and work all the bugs out that any car gets from time and neglect you will love it. Corvairs are the best handling and driving cars from the era and are very reliable. You'll get a lot of opinions on electric vs mechanical pumps. I like the mechanical pumps but there have been some quality issues over the last few years. I would suggest you search the forum and read up on them before making a decision. It seems that some have poor castings that warp and pretty much all of them seem to have springs that are too stiff and produce too much pressure. You can easily pop the spring out and bend it or cut some coils to lower the pressure. If it still has the stock pump in place the lower casting is what goes bad on a lot of the new ones and it's easy enough to use the old casting on the new pump. Like RKF said you can't have just one! I'm almost at 100. 99% of the people on here are great. You'll run across some idiots too as you have already noticed. Edited 1 time(s). Last edit at 11/07/2018 03:06PM by joelsplace. Yes, it did. It has been addressed. Sport sedans are vairy cool! As others have advised, concentrate on fixing the safety items first and leave the "pretty things" for last. Most importantly, try to enjoy owning and driving one of the greatest yet most under-rated vehicles ever made. The smiles, waves and thumbs-up will follow you no matter where you drive it. Spend some quality time in the FAQ section of this forum, learn how to search, find and join a local Corvair club as well as the national club and remember that the only "stupid" question is the one that you didn't ask! By the way - your mom is awesome! 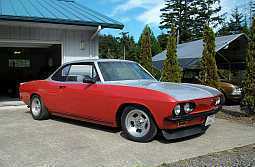 If the Corvair is in Western Washington, I'm sure we can get you some well-experienced help in getting it road worthy. We love to help folks get their Corvairs back on the road. Get in touch - click on my username to see my contact info.